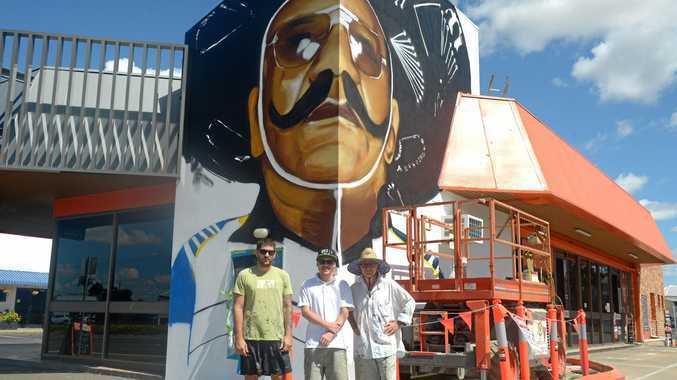 'THE Man in the Hat' has been immortalised high on a wall up on Rockhampton's busy southern entrance. Corporal Harry MiMi served in Vietnam and is fondly remembered as one of the city's great characters, recognised by his colourful outfits and cheery presence. The Waka Waka man recently had a social housing project named after him, and is the focus of a display in the Military Museum. Bill Gannon, his son Luke, and Jon Watson are the creative minds and hands behind Out There Co. which has decorated many civic buildings around the region. "We had always wanted to do a portrait of Harry MiMi, and a plan to work on a lane in the CBD fell through," Mr Gannon said. 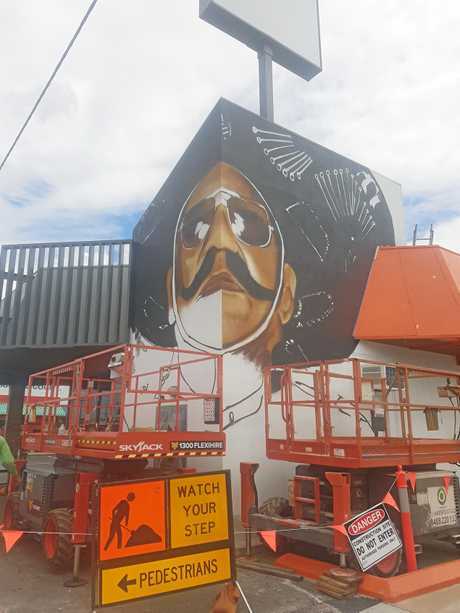 "I think it's a credit to Brett Anderson at BAWD property, he jumped at the chance to honour a larger-than-life local on the main wall of his new franchise." 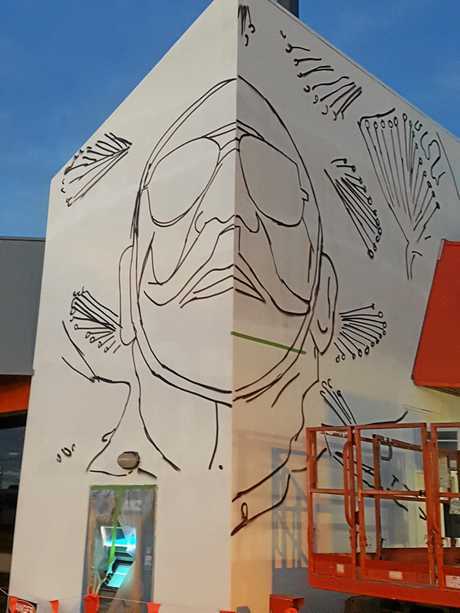 Out There Co. was first commissioned by the Dubbo-based business behind the Fast Lane Coffee drive thru to paint a generic 'person drinking coffee mural' but soon realised it wouldn't suit. Mr Gannon said his young associates showed him how to adapt an old craft to new technology, using a grid overlay on his phone camera to keep the image to scale. But it's also an intuitive process, as the artists responded to the site and the subject matter. "Now we're working around his glasses and moustache, we play around a bit, let things happen," Mr Gannon said. "It's not the Archibald Prize but it's better than that because it lends local interest to the public driving along the national highway." He said Out There Co. prefer painting local figures such as Mr MiMi who "had a generous manner and welcomed everyone he met". Working so close at such a scale, Mr Gannon said the mural often feels abstract. 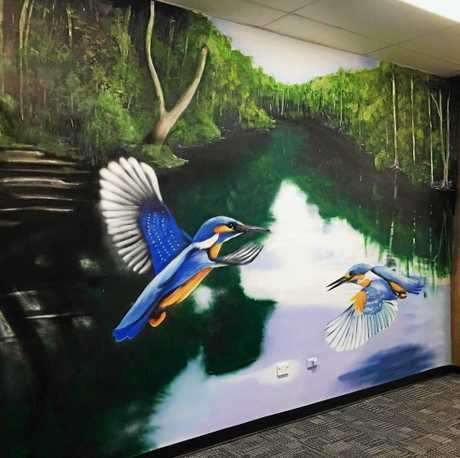 "But just the other day, I was on my way home, and I just glanced up and the image just bounced off the wall," he said. "I thought, 'Oh, there he is; there's Harry. "I felt like I could talk to him for a second." 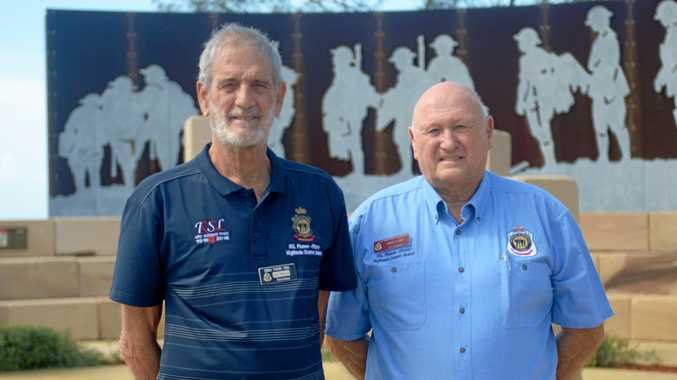 Out There Co. are also responsible for the large faces at CQUniversity and others around Yeppoon and Byfield where they are based. 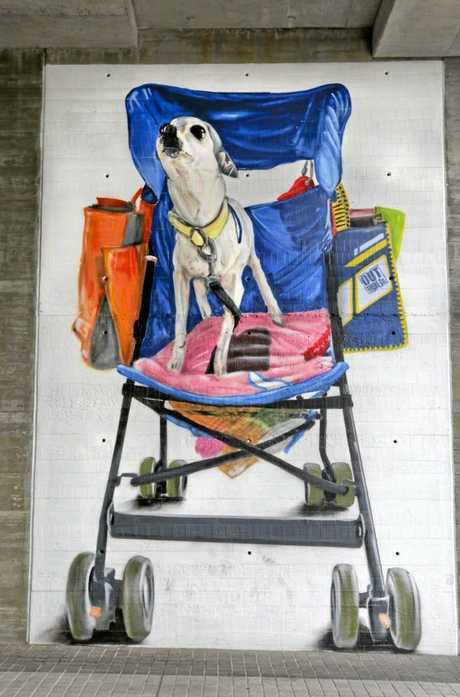 One of their favourites was inspired by Bill Gannon's daughter, Rosie, who pushes her pet chihuahua, Tiny around in a pram. 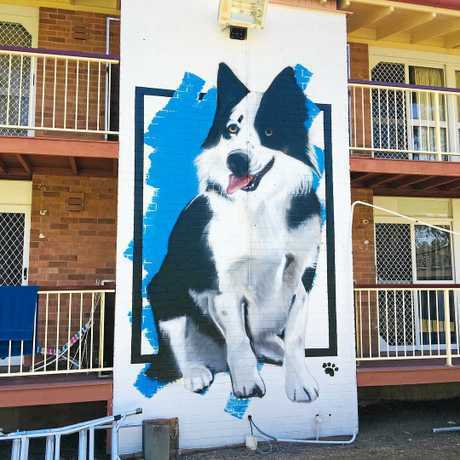 Mr Gannon, a retired town planner, began his mural work at Sydney's Royal Easter Show and Canberra festivals during the 70s and 80s, and moved his family to Yeppoon in 1990. His son, Luke is an industrial designer and draughtsman who has also travelled around Australia to pursue his craft.